O’Bosan Owen Watson (aka Charles Song) was born on June 15, 1944. Highly skilled in Karate and Kung fu, he co-founded Chinese Goju-Ryu Karate with Shidoshi Ron Van Clief, merging their knowledge of Kung-fu from past instructors, and U.S.A GoJu under the well known instructor maestro Peter Urban. 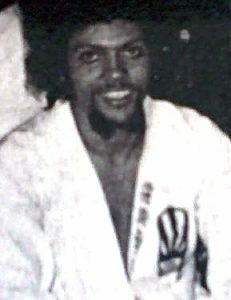 O’Bosan won frequently in tournaments primarily on the east coast and eventually studied Nisei Goju Ryu Karate under its founder, master Grandmaster Frank Ruiz. In the 1970’s, O’Bosan entered the film industry and starred in two films shot on location in New York City. 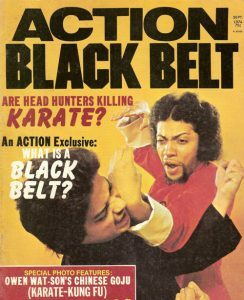 The first, Velvet Smooth, became an instant martial arts sub-culture phenomenon. 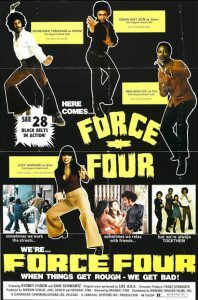 His notoriety in Velvet Smooth lead him to choreograph and act in his second movie, Force Four, where many highly skilled black belts of the area acted and took part in fight scenes including, Malachi Lee; Warhawk Tanzania; *Sidney Filson; Judie Soriano; and Shidoshi Wilfredo Roldan, current Chief Grand Master of Ni Sei GoJu Ryu. O’Bosan relocated to So. Lake Tahoe, California shortly after his co-lead and choreography job in Force Four. In So. Lake Tahoe, he officially opened Sung Lung Miu (Twin Dragon Temple) Kung -fu. He also hosted martial art tournaments in Caesar’s Tahoe Casino. O’Bosan choreographed and demonstrated, with his Tahoe Kung-fu school, elaborate shows at Ceasar’s Tahoe to large audiences at these tournaments. 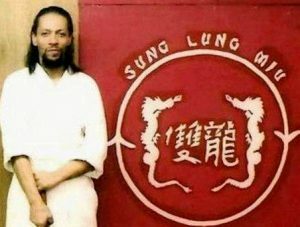 O’Bosan later moved to Reno, Nevada, where he taught Sung Lung Miu to his Tahoe crew and to new students in the Reno area. While in Reno, O’Bosan hosted martial art demonstrations with other martial schools in the area, demonstrating the many arts that he taught under Sung Lung Miu. O’Bosan spent over half his life in the west coast and imparted his strict discipline and knowledge of all his styles within the teachings of Sung Lung Miu to those select black belts in the area. This was done under the recommendation of maestro Peter Urban. It was a great loss that O’Bosan passed from this realm due to issues with diabetes on October 30, 2005. His legacy is felt in Chinese Goju, but lives on in Sung Lung Lung Miu, which is still being taught today by recognized instructors of the O’Bosan Owen Wat-son.